With the new organizational goals, the Bank has undergone a massive recruitment program. Our people to-day provide us with a level of competency which we consider as a source of competitive advantage. 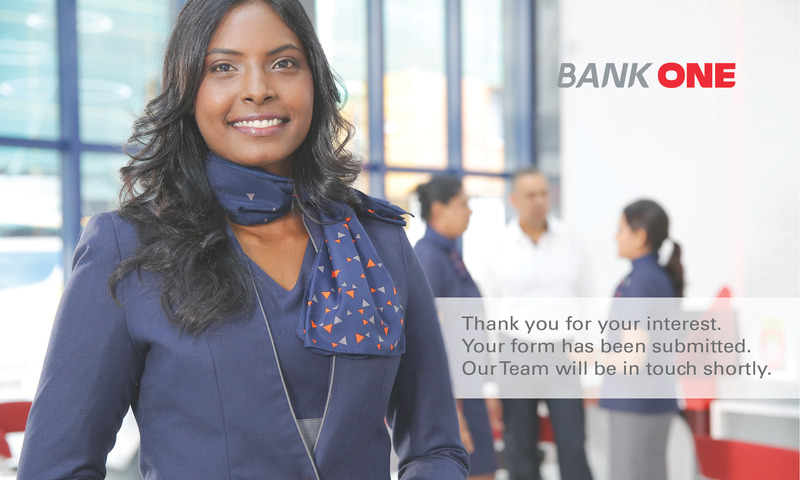 Bank One is committed to making the Bank the ideal place to work and to treating its employees with dignity and respect. Its aim is to ensure that the environment is proactive and progressive and that employees are encouraged, given incentives and the opportunity to excel. We aim at fostering greater employee empowerment and at providing an atmosphere conducive to personal and professional growth. Why make Bank One your choice? We not only hire the right people for the right roles, but retain and bring out the best in our people. We provide learning and development opportunities to our employees. We foster an environment where professional and personal development is valued and promoted. We empower rising talent across the Bank. We spend a great deal of time and energy creating a culture of trust and transparency. We recognise the importance of reward, loyalty and incentive programmes and we make sure we are paying competitive salaries for all positions. We foster collaboration between employees with different skill sets. We encourage a culture of “intrapreneurism” by nurturing diversity of thought. We encourage and motivate our employees and help them find their voice. We promote the engagement and well-being of our people to unlock productivity. We contribute to worthy causes and encourage our employees to give back to the community. We make sure you will have fun at work by creating a pleasant environment that will be meaningful to you. If you share our commitment to provide financial services of the highest standards and want to be part of Bank One’s dedicated team, please send us your application by using the link below or by applying for one of the listed jobs below.